Scaffolding Safety Requirements is available on the ANSI Webstore. Cities are constantly-changing entities, replacing people, buildings, and infrastructure. The first requirement often needed for this change is destruction. Older buildings must be demolished to provide space for new ones. Scaffolding serves as bandages to mark these changes, covering buildings and areas that are in a transitional phase. Once these scaffolds are removed, they reveal something newer and better than before, removing the city of the past. A scaffolding-covered area is incomplete and has many more structural hazards than completed-parts of a city. Because of this, the safety of the personnel operating on the scaffolding and the pedestrians walking under it are incredibly important. ANSI/ASSE A10.8-2011: Scaffolding Safety Requirements sets guidelines to assure this. All construction has some level of danger. Keeping the workers elevated only adds more hazards. All scaffolding must be able to support the weight of the personnel operating on it. ANSI/ASSE A10.8-2011 addresses this issue with several different guidelines. Scaffolding is generally comprised of wooden and metal planks. Both kinds should be tested for bending stress. Wooden planks should be used in locations with good air circulation to allow the wood to dry. In areas with inadequate circulation, additional stress tests should be used to account for the less-sturdy moistened wood. It would be irresponsible to assume that nothing could possibly go wrong with the structure of the scaffold. The standard recommends preparedness for error by having fall protection equipment and emergency descent devices. These emergency provisions should not be used as the primary form of descent, since they could be become overused and not work correctly for their intended purpose. Scaffolding in cities is unique when compared to other construction sites, since it frequently has pedestrian foot traffic under the work site. This can pose additional threats if the scaffold is not operated and managed with care. 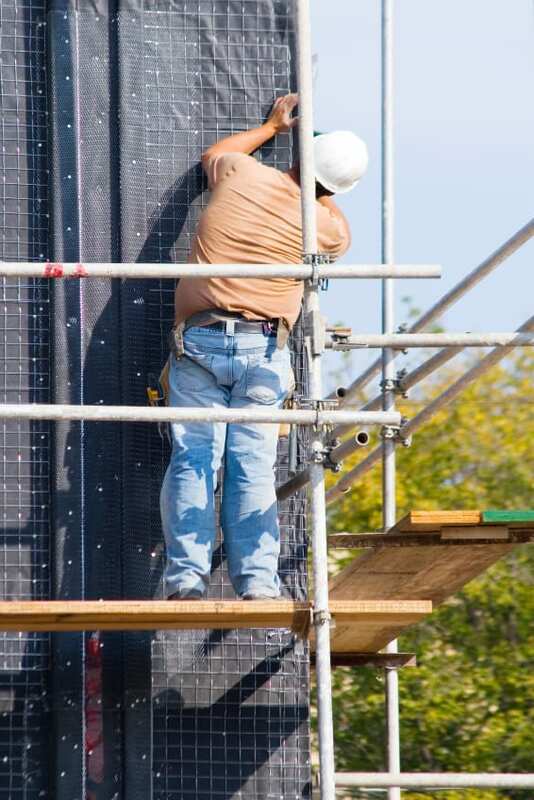 Following the guidelines in ANSI/ASSE A10.8-2011 is important for the stability of the scaffold, which secures safety for both the workers and pedestrians walking under it. It is also recommended that there is someone on site who is familiar with all aspects of the standard. Testing should also be done occasionally to understand the stability of the scaffold over time. ANSI/ASSE A10.8-2011 is a standard developed by the American Society of Safety Engineers (ASSE). ASSE is an ANSI-accredited organization that develops and publishes standards to work for the protection of people, property, and the environment. Thanks for useful information with us. I like your blog.